Articles about the General Transit Feed Specification (GTFS), formerly known as the Google Transit Feed Specification. 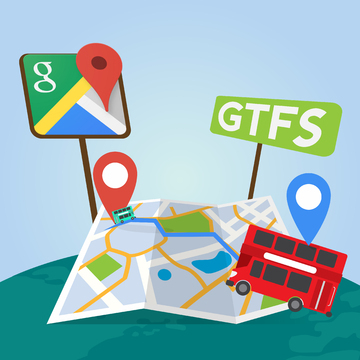 Getting your bus, train, ferry and public transport onto maps and apps requires GTFS Tools. 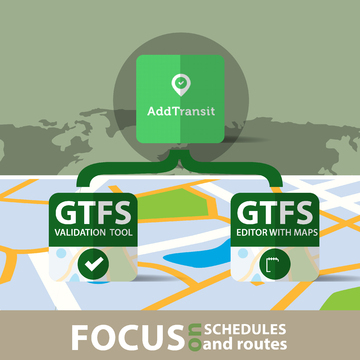 AddTransit has a set of GTFS tools that allows you start simply and then build up to more complex realtime updates. Let’s discuss each of these in turn…..
Our GTFS builder / GTFS editor allows you to create the initial GTFS file. We step you through your agency details, the scheduled days that you operate, the routes, individual trips and stops information. This allows you to easily build your GTFS file. If you have existing data in stored in files (e.g. CSV, MS Excel), we even be able to upload the data for you and greatly speed up the creation of the GTFS file. Once all the necessary information has been entered, then you can create your first GTFS file. We can host the GTFS file for you, or you can host it on your own servers. 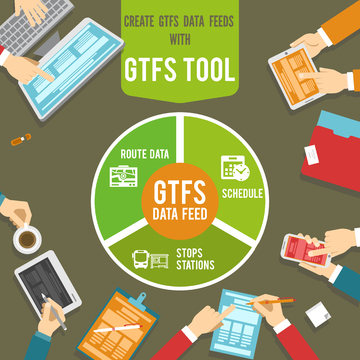 When your stops, routes or schedules change, you can easily log into our secure online website and use the GTFS Builder / GTFS editor to update your data. When you are ready you can also add information about transfers, wheelchair and bike capacities, fares and route maps. 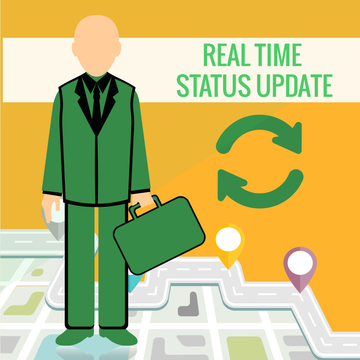 When delays affect a planned service, GTFS-Realtime status updates allow you to keep your passengers informed. You can provide customer information on what is causing the delay and what the effect will be on passenger’s travel. The level of detail you provide is up to you. You can even provide a URL to pages on your company’s website to give even more detail. 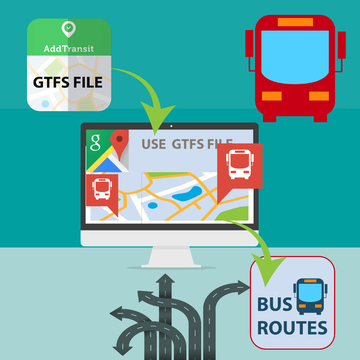 AddTransit for GTFS-Realtime status updates can be provided to all online map, apps and journey planning providers. This allows your passengers to choose their preferred devices and software providers. Allowing your status updates to be displayed on many different online maps, apps and journey planners will result in the maximum number of customers being informed. 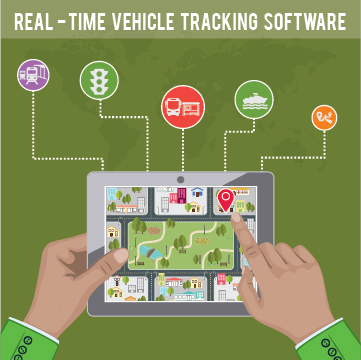 GTFS-Realtime Vehicle Tracking solves the problem of customers not knowing when their bus, train or ferry is about to arrive. 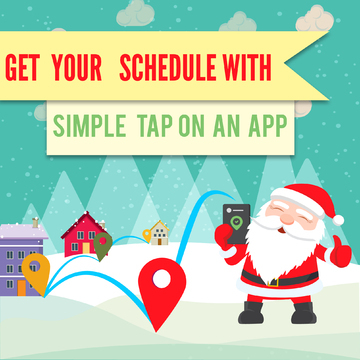 Using a free App on a GPS enabled smartphone with secure AddTransit login details, you can upgrade your AddTransit account to include GTFS-Realtime Vehicle Tracking. Initially, your staff can monitor your vehicles on the AddTransit website. When you are ready, you can also provide vehicle positions in a GTFS -Realtime file for all online map, apps and journey planning providers to use.